Custom design your new residence. 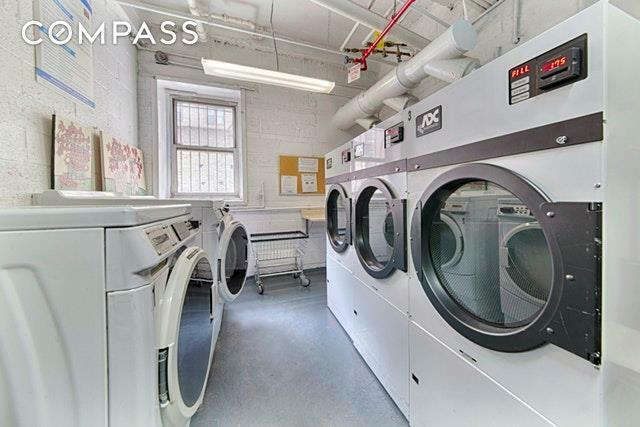 This 2-bedroom apartment in prime Hudson Heights needs a total gut-renovation, so bring your contractor and your vision. 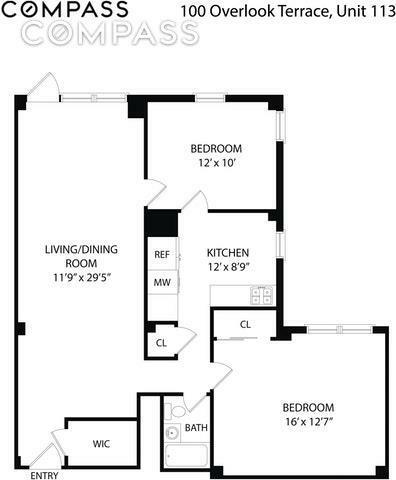 Great layout with generous living space and lots of versatility, with windows on double exposures, nice-size bedrooms and excellent closet storage including a walk-in. 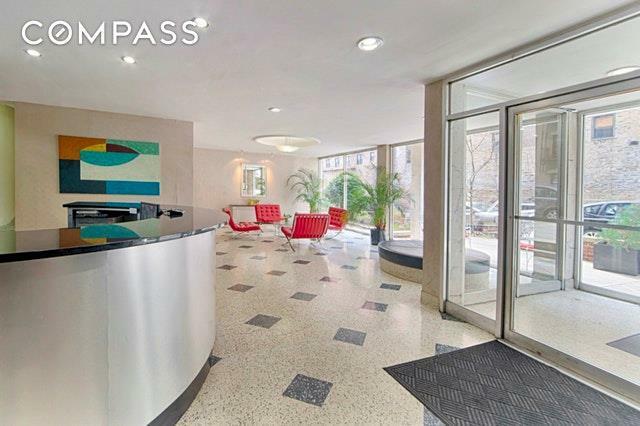 Built in 1963, 100 Overlook Terrace is a well-managed and maintained elevator building offering 24-hour doorman service, a live-in super and porter, 2 laundry rooms, bike storage, and an onsite parking garage for an additional fee. Cats are allowed; no dogs please. 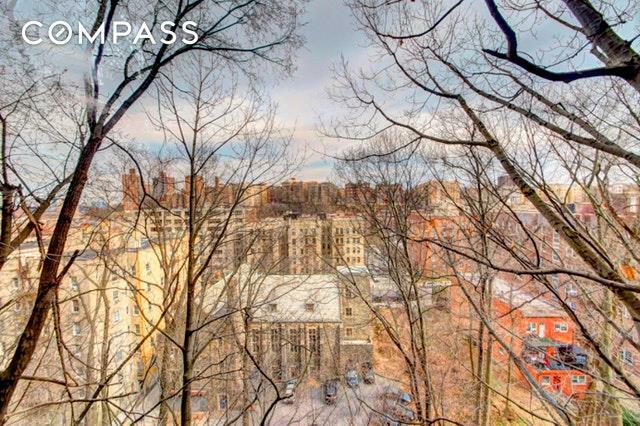 This 6-story postwar cooperative sits in a desirable location in Upper Manhattan, nestled between the Hudson River to the west and Harlem River to the east. Right nearby is Fort Tryon Park, one of the citys most beautiful outdoor spaces. Gorman Park and the Jacob K Javits Athletic Field are also in walking distance. Restaurants, cafes, coffee houses, grocery stores, museums, shops and services are all minutes away, as is public transportation. Within blocks you can access the express/A train (just a 20-minute ride to Midtown), #1 subway line, and local MTA buses.